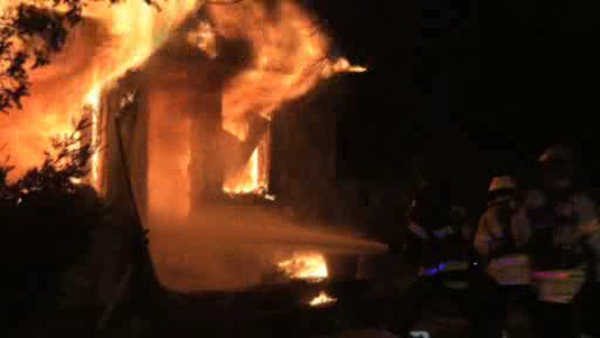 NORTH AMITYVILLE, Long Island (WABC) -- A raging fire tore through a home on Long Island early Tuesday. The fire broke out in a house on West Smith Street in North Amityville just before 1 a.m.
By the time firefighters arrived, flames were shooting out the windows. The good news is that apparently no one was home at the time.